It’s no secret. I’m fascinated by witchy things and things associated with witchcraft. This does not mean I am one. I have a huge interest in vampires, too. Their lore and mythology, the novels, the movies, the whole nine yards, (Except for Twilight. I hate Twilight. Sorry. Deal with it.) all enthrall me. This does not mean I am one or believe I am one. As with so many other horrors that grew me, I wasn’t entirely clear on when this interest first blossomed until recently. It has simply always been. But, the more I’ve thought about it for the writing of this post, the more I’ve come to understand about its origins. There’s a bit of interest in Spiritualism that I can easily trace to a particular relative on one side of the family who would later not only purchase my first Ouija board for me as a birthday gift (my 13th birthday, btw) but would also teach me how to use it – much to the rolling of her husband’s eyes. Another close relation on the other side of the family was really into the meaning of dreams and astrology. As I was exposed to dream interpretation from my earliest days, let’s start with Ballantyne and Coeli’s Your Dreams And Your Horoscope : 25,000 Interpretations of the Messages Received in Sleep and the Predictions of the Stars, Planets, and other Heavenly Bodies, a copy of which was given to my great grandfather for Christmas in 1943. This same book now holds an honored place in my private research library. From Abacus to Zoo, we are presented with dream interpretations of all kinds in the first 564 pages of this yellow-paged tome. This is followed by finding numbers associated with dreams based on numerology. On page 574 we start our lessons in astrology, which continue for another 300+ pages. Hm. It all seems rather witchy to me. This book would lead me to buy a dream book of my own, Zolar’s Encyclopedia and Dictionary of Dreams along with his Compendium of Occult Theories and Practices. This Zolar fellow has thirty books listed on Goodreads, but there’s an overwhelming lack of any actual information on who Zolar really was (or is). 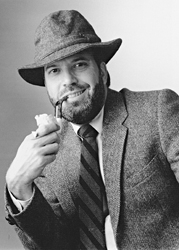 Other than a picture I found of a bearded man wearing a tweed suit with matching hat and smoking a Sherlock Holmes-style pipe, I haven’t found a thing. I strongly suspect that he’s the Simon and Schuster equivalent of General Mills’ Betty Crocker. Once the research fuse on this particular study was ignited, things really got interesting. I quickly found myself diving into the non-fiction book Witchcraft At Salem by Chadwick Hansen and The Complete Book Of Magic and Witchcraft by Kathryn Paulsen. Much like the vampire library, the library of books on witches and witchcraft grew. For my high school senior paper I wrote about the causes of the Salem witch trials and as part of my research was granted access to Cornell University’s massive Witchcraft Collection at the age of seventeen. I was taken to a small study room that contained nothing but four large tables with two chairs each, and several surveillance cameras. I was permitted to take in a pencil and a notebook. That’s it. Having looked at the card catalogue prior to my admission, I had a list of documents and books I was interested in seeing. These were brought to me and for the next few hours I gathered as much information as I could that pertained to my topic. I was in Heaven – and some would say probably working my soul’s way to Hell. Little did I know at the time, but I was also gazing at documents that pertained to my own family lineage. For a good twenty-five to thirty years or so, I was very involved in all manner of occult dabbling. I taught myself to read the Tarot and other methods of scrying. The use of the Ouija board was common practice. I gathered stones and crystals. I burnt cedar and sage. I met and hung out with a lot of pagans whose practices ranged from Druid to Wicca and participated in numerous drum circles. It was fun and I learned a lot spiritually about myself. It’s been a solid ten years since I’ve done any of that and a good five since I’ve spoken to anyone from those days. My interest is still there, but it’s really just an interest now, not a practice. As I said, it was educational and it helped me find a pretty content zone when it comes to all this spiritual, in the religious sense of the word. A few years prior to my maternal grandmother’s passing, she gave me a book she highly prized. It was THE family genealogy book, researched and written by her cousin. When she gave it to me she said, “You’re the only one who really seems to care about this so I wanted to make sure you got this.” It would not be until 2009 that I would find a passage in this book that thrilled me beyond words, despite the sad injustice of it all. In the Preston line of family is this entry: Thomas Preston, born abt 1642, per his deposition 30 Jan 1690, stating he was then 48 years old. He m’d in Salem Village, Mass in 15 April 1669, Rebecca Nurse, d/o Frances & Rebecca (Towne) Nurse. Rebecca (Towne) Nurse was born 16 Feb 1621 & was executed as a witch 19 July 1692. Thomas Preston’s brother Roger was my 7x great grandfather, making Rebecca (Towne) Nurse my 8x great aunt. It’s a thin, frail line of descent, I grant you, but I’ll take it. Of course, the 71-year-old Rebecca Nurse accused and hung as a witch was no such thing. In a similar vein, my Godfather is descended from Judge William Stoughton – also of Salem fame – and his wife, my Godmother, is also descended from an accused Salem innocent. Last but not least, all this love of genealogy research led me to work on a lineage for a friend – just for fun. Through that I discovered the Connecticut Witch Trials that ran from 1647 to 1697, before, during, and after Salem. 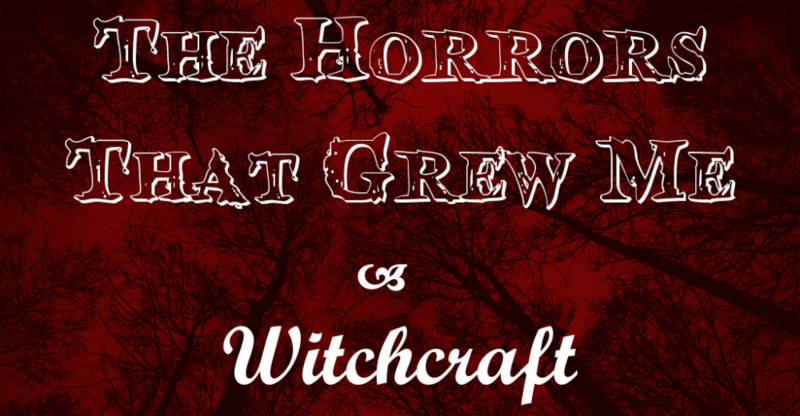 No fewer than thirty-four men and women were formally charged with witchcraft. Eleven were hanged. 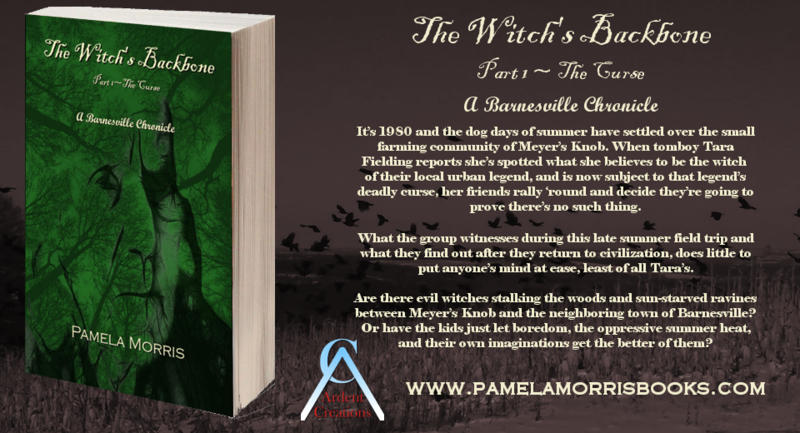 And from these people grew my idea of the Barnesville witches that you’ll find in my Barnesville Chronicle series. So, there you have it – my love and fascination with witches, the good ones, the bad ones, the factual ones, the fictitious one, and the ones that weren’t really witches at all, but innocent victims of their culture and circumstance. 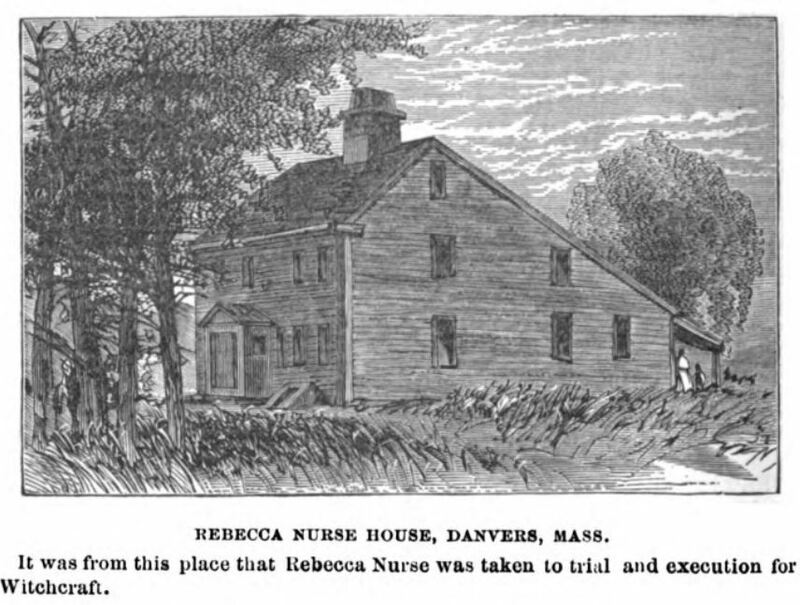 The apex of this horror that grew me will be the day I walk into the homestead of Rebecca Towne Nurse that still stands today in Danvers, Massachusetts (the original Salem Village) as a museum and feel some strange, magical, and witchy sense of coming home. Once Upon A Time There Was A Witch Named Tannev. She wasn’t born a witch, few are, but for some twenty-five years she proudly considered herself one. Others thought of her as one, too. Tannev was quite happy with her chosen Pagan path and had many friends of like mind she met with, celebrated with and even cried with. It was a happy, peaceful life for the most part and not one Tannev left behind entirely of her own free will. It was more a fading away as one might witness a person walking into a misty, gray fog. There would be only two that the Witch would remain close to, two delicate links in a fragile chain. Though she wanted to go back, time and circumstances kept her from those Tannev had for so long thought of as her lost family and home for ten years. It had taken her a long time to find them but losing them had proven far too easy, slipping her away. One year, the two diminished to one, filling Tannev with much sadness. It always made her a little nostalgic and melancholy to think of those bygone days even though she knew she could never really walk down that spiritual path with the belief she’d once had. Tannev forged ahead, the Hermit, wandering alone again. It was, she figured, the way it was meant to be for her. 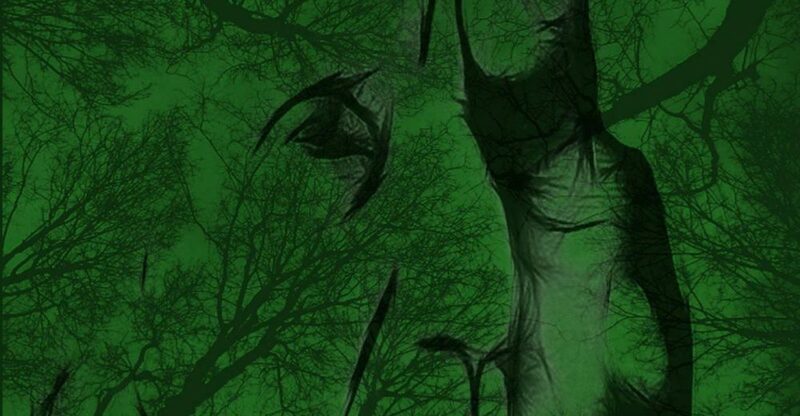 One dreary, moonless night, Tannev met a man who was one of true Darkness and one might say, Evil. He called himself T’so. Tannev grew to admire and even to love T’so despite his wicked and deceptive ways but even he could not convert her as he would have liked. She’d walked that Path once, too and knew the dangers and he could not turn her towards it again. Tannev valued goodness, honesty and love about all other things. T’so was none of those things. She would not bow to his wishes and he soon tossed her aside. Ironically, in his efforts to sway her, T’so pointed Tannev to a series of manuscripts that would brighten her Path instead of darkening it. Within these ancient manuscripts Tannev learned of a God above God and, more important than that, of the Divinity Within. Tannev’s eyes opened. This Gnosis, this Knowing, became her new Path and she was a Witch no more. Though Tannev may appear to still be walking alone even to this day, she knows otherwise. She’s never alone for her Heart is always with her and within that Heart dwells that Spark of Spirit that is her personal Divinity.